*If you have sold a home within the last 2 years, the income you received from the sale would be included in your income today. The Head of Household cannot be a full-time student. If you have been a full-time student 5 months in a calendar year, you are considered a full-time student for the entire year. The 5 months do not have to be consecutive. ( ) I have eligible immigration status as checked below (see reverse side of this form of explanations). Attach INS document(s) evidencing eligible immigration status and signed verification consent form. 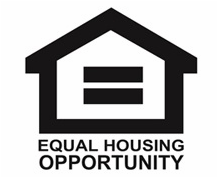 Anyone that has been convicted of a felony is not eligible for this housing program. ​Click the link below to access our application. The application fee is $20 that is paid in cash.